Less than a week ago, billionaire media mogul Rupert Murdoch announced that he is handing the reins of control to his two sons. Will the transfer of power lead to succession or to secession? Handing over control to a new generation can be messy business, especially when family is involved. Sometimes it goes well, but often it is painful. Some leaders transfer power in name only, but just can’t let go. As a result, they risk bringing themselves down in disgrace. Other times, the next generation loses patience and repeatedly chips away at a leader’s ability to govern. These repeated challenges to authority eventually create an atmosphere of mistrust, where constituents begin to second-guess a leader’s judgment. When this occurs, a kind of community paralysis sets in and it takes a new leader to catalyze forward momentum. The Biblical Book of Numbers is certainly a case study in the complexities of succession. While Moses ultimately passes the torch of leadership to a new generation, there are many acts of attempted secession. First, Moses’s siblings challenge his authority (Numbers 12), then the spies, who are leaders of twelve tribes, seek to undermine his credibility (Numbers 13) and in this week’s Torah reading (Numbers 16), Moses’s cousins mount an insurrection. The first challenge to Moses’s leadership cascades into a chain of additional trials, suggesting that there was general fatigue between the people and their leader. I wonder if either could see the warning signs as they unfolded, or only in retrospect. • If you are senior clergy of a congregation or a CEO of a nonprofit, what is your exit strategy if your constituents pose a serious leadership challenge? Do you have a plan to put into effect if that happens? • If you have played a senior professional leadership role for a long time, are you working with board members on a succession plan? • If you are a senior volunteer leader, and you feel it is time for a professional leadership change, do you have a proactive strategy or will it take a disgruntled community to move you to action? • Finally, for both senior professional and volunteer leaders: how are you cultivating leadership for upcoming generations? And, given the vast numbers of Boomers who might be interested in volunteer roles, do you also have a plan to engage them? Given the dynamics of any change of leadership, there certainly are no guarantees about how smooth a transition will be. But, there are ways to try and mitigate the risk of clumsy and potentially destructive transitions and limit the likelihood that that succession does not turn into secession. When Does Debate Cross a Line from Health to Pathology? I’m not looking for some nostalgic Jewish past when we were all unified. That would be fiction, not historical fact. (Item: think we’re not unified now? Remember that when the Romans besieged Jerusalem in early 70 C.E., extremist Jewish factions burned storehouses of the little food left in an effort to provoke Jewish moderates into war against the Romans and out of potential negotiations). Debate, discussion, dissent and disagreement are in our DNA — and for the better. These attributes help us hone our ideas, challenge our assumptions, and collectively and progressively refresh Judaism. Divides create a mentality of, “you’re either for us or against us,” while spectrums of belief can help focus energies on areas of agreement. Divides turn people off, while spectrums bring people in. Note that most of these divisions aren’t new, although their labeling has been updated in some cases. But I think that social media have heightened the question, “At what point will dissent impair our ability to act collectively? Why might it do so? Because just as the Internet bestows the blessing of instantly spreading great ideas, it is equally potent at spreading disdain for one another. (Sometimes the web feels like a 24/7 global la-shon ha-ra or gossip factory.) And ill-will may linger well after any specific incident and turn into hardened opinions and stereotypes. The minor festival of lag b’omer is celebrated this Sunday. Legend has it that a massive number of students of Rabbi Akiva died because of internecine fighting several weeks before that time, as Divine punishment for lack of mutual respect. They forgot that they needed each other–that’s my interpretation. Clearly, even a “big tent” has its limits. But if we want a dynamic and healthy American Jewish community, we’re going to have to cool the rhetoric we use in speaking of differences, and warm the embrace within our respective belief system. As an experiment, this morning I searched the terms, “Pew Jewish demographic study 2013 failure” and “Pew Jewish demographic study 2013 success” on a variety of online sites. Numbers in red reflect a larger number of results. What are my conclusions from this matrix? A survey finding is an objective snapshot of a moment in time. (Let’s ignore methodological issues that any survey generates.) It mayz reflect the beginning, middle or end of the movie, but it’s still just one moment of a subject frozen in the moment. To continue the analogy of survey finding as “snapshot,” you may rejoice or recoil at a picture. Your reaction to it depends upon your beliefs, knowledge, values and experience and says as much about you as it does the picture. Your reaction is immediate and subconscious and you’re not likely to analyze your feelings and thoughts unless you’re in a museum, a setting that invites quiet, thoughtful reflection. Reports as significant as A Portrait of Jewish Americans generate narratives within and outside of the Jewish community. We may have a preference of one narrative for Jewish consumption and another for more public consumption, because stories serve political interests. In a related vein, coverage (or relative lack thereof) of this report within the American Jewish press and the Israeli Jewish press have several subtexts, a significant one being the viability and vibrancy of Jewish life outside of Israel. So I’m taking my time digesting the implications of the findings from the Pew Report, A Portrait of Jewish Americans. We’re going to feel the impact of this report for a long time. While the some of the findings are unambiguous and elicit a strong emotional reaction, those reactions don’t always make for thoughtful policy debates and decisions. Survey findings in the Jewish community are notorious for generating anxiety without clear direction (more about that in a later post….). Careful sociologists, historians and demographers are incredibly valuable in providing us with information about the present and they can extrapolate possibilities about the future. We need to pay attention to them—in many cases, if we had, we might not be dealing with some tough issues in the Jewish community today. Yet, sometimes against the logic of the data, we have to strive mightily to create the future that we want because that’s what leaders do. So unlike what happened for a variety of reasons with the 1990 NJPS and the problematic NJPS 2000-2001, a little more time for analysis, interpretation and action will serve us better as a Jewish community. I’ve generally heard agreement among synagogue and federation leaders that congregational collaboration is a valuable endeavor. Collaboration can lead to elimination of redundant services, cost savings, better programs, etc. So, who would argue against it? If you’ve actually planned, implemented and helped sustain collaborative synagogue efforts, you know how beneficial they are—and also how much effort you have to invest and maintain in them order to make them work! That’s why I’m happy to introduce you to another resource that provides you with concrete, practical tools to support your efforts around collaboration, and strategies to increase communications, connections and meaning in your congregation. This free, download is titled, Tomorrow’s Synagogue Today: A Guide for Study and Action, and it’s a seven step implementation guide to some of the key ideas in my book, Tomorrow’s Synagogue Today. Creating Vibrant Centers of Jewish Life. In addition to collaboration, you’ll find six additional units, on topics ranging from becoming an entrepreneurial congregation to preparing for the future by better anticipating trends that may have an impact on your congregation. In 2000, I wrote a paper called Network Judaism, later published in 2001. MySpace was launched in August 2003 and Facebook in February 2004. 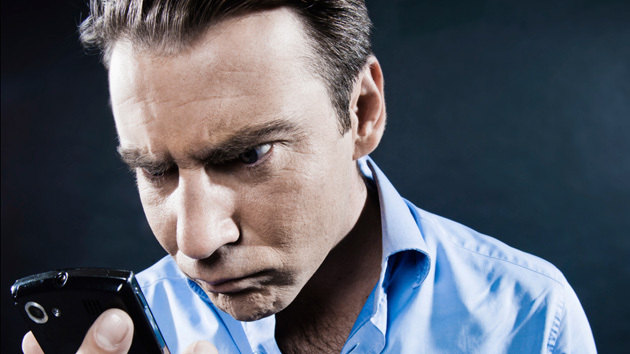 While not long ago at all, it’s hard to recall that social media platforms didn’t exist. But if you were tracking possible significant trends carefully, you could anticipate the potential emergence of the networked organization. What no one was able to grasp was how social media sites would be enable societal changes of major magnitude. The numbers tell a story of how rapidly socially media sites have been adopted and how embedded they are in our lives. Yet, synagogues, federations and other historic organizations have not shifted their structures to enable themselves to become platforms for people to connect socially, spiritually, philanthropically and educationally. As we are now in the networked era, Jewish organizations need to shift their paradigms to a platform model. Otherwise, the great the work that many are doing around making Judaism more relevant, inspirational, meaning-saturated and beautiful will be inhibited or fail. Unlike many Jewish start up organizations that have blossomed over the last ten years, established Jewish organizations need Platform Judaism, or more accurately, platform Jewish structures. What is an organizational platform (and I can highlight only a few dimensions in this space)? A platform is an enabling space for people to interact and act upon issues. An organization that becomes a platform enables individuals to self direct their Jewish choices and express their Jewish values within the organization’s mission. That is a radical shift from organizational leaders directing people how, when, where, why and with whom to be Jewish- in other words, the dominant paradigm of more established Jewish organizations and synagogues! Becoming a platform is also a mindset. It means embracing the desire of individuals to co-create their experiences, opt in and opt out of Jewish life, do new things and old things in new ways-of course, within the organization’s mission. This mindset operates within the building, outside of the building, on the website, and anywhere else. It also requires a much more creative and intentional use of technologies to tell individual stories and organizational stories and a redefinition of professional and volunteer leaders’ roles, new governance models and even new professional and volunteer positions. In part, I wrote my book, Tomorrow’s Synagogue Today. Creating Vibrant Centers of Jewish Life, to stimulate thinking around the urgency for organizations to move to a platform model. 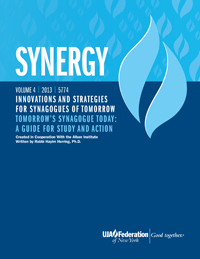 Within about two weeks, UJA-Federation of New York’s Synergy Department and the Alban Institute will be releasing a study and action guide to help synagogues and organizations practically apply the concepts of Platform Judaism, one of the central concept in Tomorrow’s Synagogue Today, to their real world settings. Then, several weeks later, the Alban Institute will be publishing a companion volume to Tomorrow’s Synagogue Today, with a deeper discussion of some of the core concepts of the book and even more practical resources. If you’ve registered for ongoing information, you’ll learn how you can access these new resources-one of which will be downloadable for free. If you haven’t, you can sign up here. And in October, I’ll be presenting and facilitating number of sessions in Baltimore at United Synagogue’s Centennial; in Westchester, Manhattan and Long Island through UJA-Federation of New York; and the Rockland County Federation’s Rockland Jewish (Synagogue) Initiative. You can click here for more details on these presentations and if they’re in your area and open to the public, I hope that you’ll participate. Looking forward to working together with you! Crossed posted on eJewishphilanthropy in a modified form.